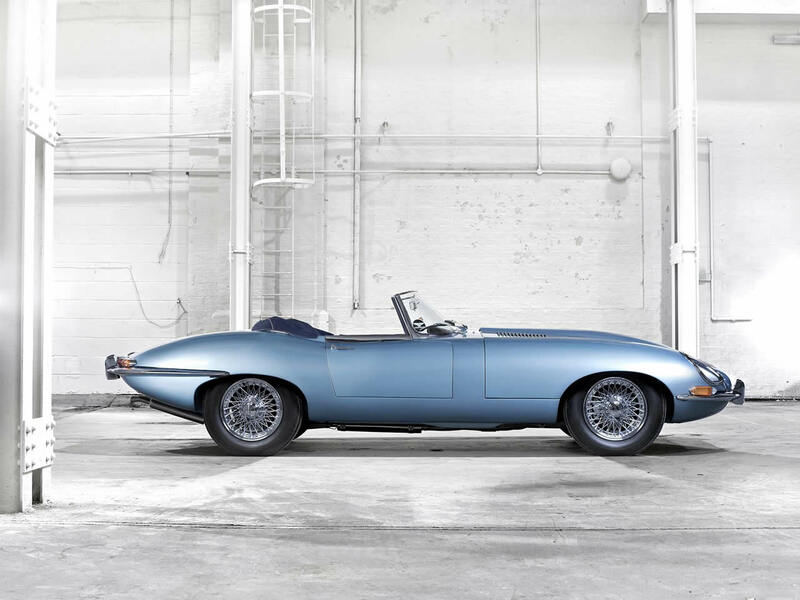 Download wallpaper images of the Jaguar E Type by clicking on the picture. The Jaguar E-Type (or Jaguar XK-E as it is known in America) was a revolution in the world of sports cars when it launched in 1961. An instant icon of the 1960s its sleek styling reflected the latest racing cars of the period with a great elegance that attracted the most fashionable people of the day. Even Enzo Ferrari said that it was “The most beautiful car ever made”. Not only was it stunning to look at but the E-Type was great to drive too. Capable of 150 mph it was able to leave behind supercars costing twice the price. Power initially came from the proven XK straight 6 cylinder engine. Suspension was fully independent and there were disc brakes on all four wheels. However, unlike the XK cars that came before it the E-Type Jaguar was designed for mass manufacture with a pressed steel monocoque bodyshell. This meant that the price came in at a very attractive figure for such a glamorous high performance machine. In total 77,000 cars were built during its 13 year lifespan with three different engine variations. The early (and most desirable) Series 1 cars had closed in headlamps, a 3.8 litre engine and a smaller ‘mouth’ air intake. 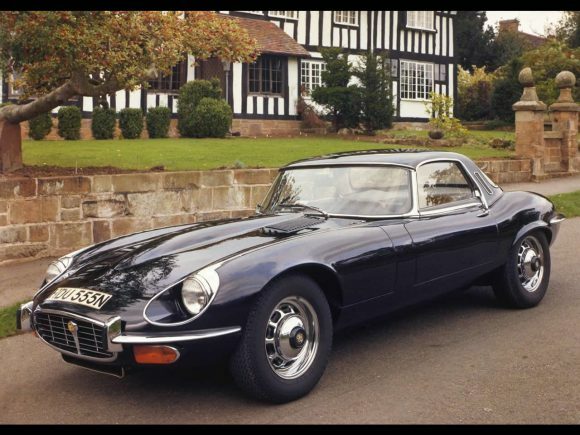 The XK engine was upgraded to 4.2 litres in 1964 before a transitional Series 1 and a half was made from 1967-1968. It also got a much better all-synchromesh gearbox. This was replaced by the Series 2 with was noticeably different with open headlights and a wrap-around rear bumper. Inside, the interior was redesigned to increase comfort and comply with US legislation. 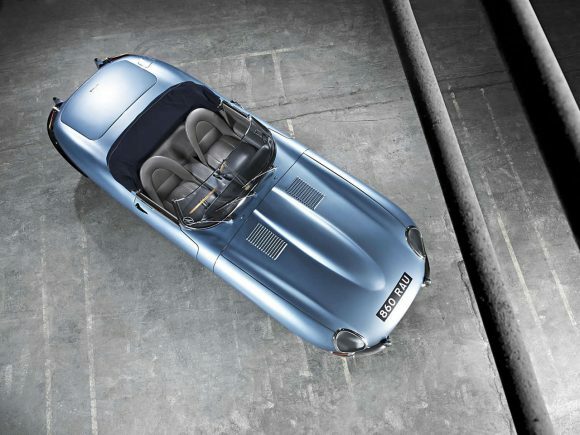 The final Series 3 cars were powered by a new 5.3 litre V12 engine and the roadster was made longer with use of the floorpan from the 2+2 Coupe. It also differs visually from earlier cars by the flared wheel arches and cross-slatted front grille.